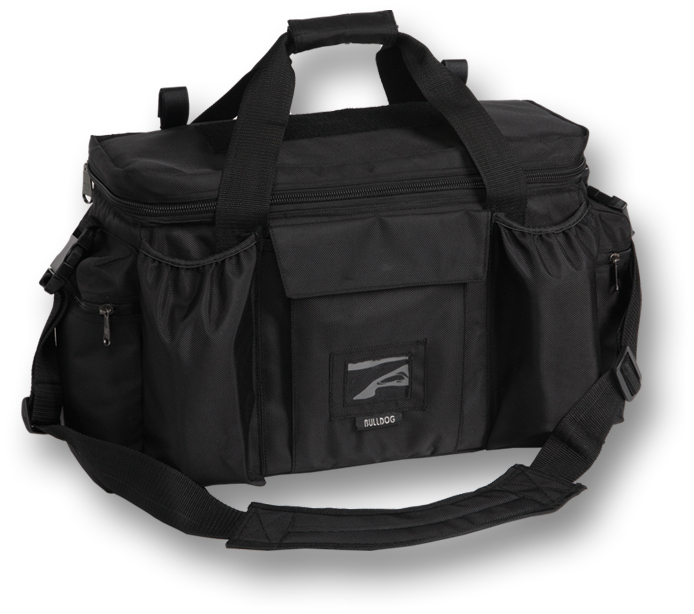 This is a professional quality range bag large enough for all the shooting supplies a police officer or range master may need. Multiple compartments for every possible accessory. Removable dividers and pockets inside the lid. Five external pockets. Lockable heavy duty hardware. Velcro patches for badges on top and back. Superior quality construction. 22L x 12W x 9H. 100% money back guarantee.